I spent the evening hanging out with my friend Diana. By the time we were done it was late, we decided she should just come over for dinner. I was cooking anyway, didn’t see the point of her going home to start cooking her own dinner that late. It had to be a quick dinner. 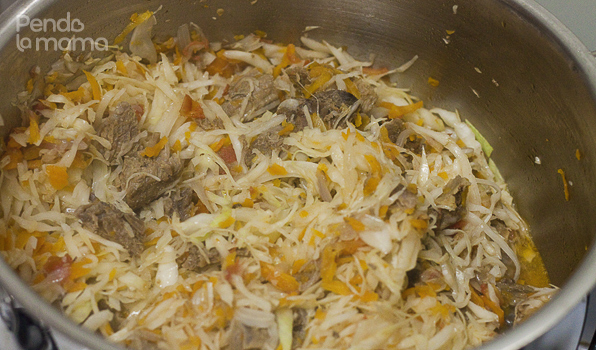 Still had some boiled beef left from the day before so I cut it to bite sized pieces and cooked it with cabbage. 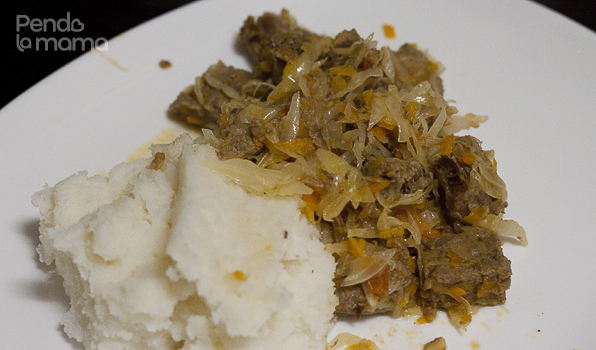 Diana helped me to cut the cabbage while I made the ugali. 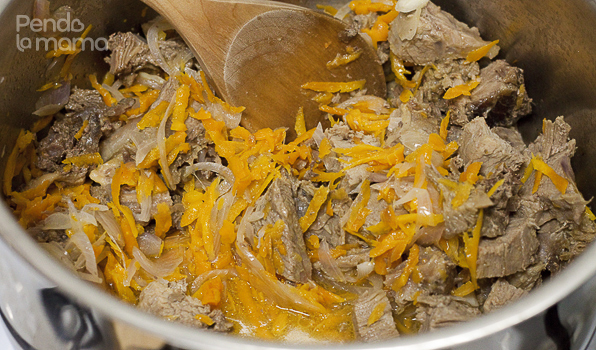 Then I blanched it before adding it to the beef stew.